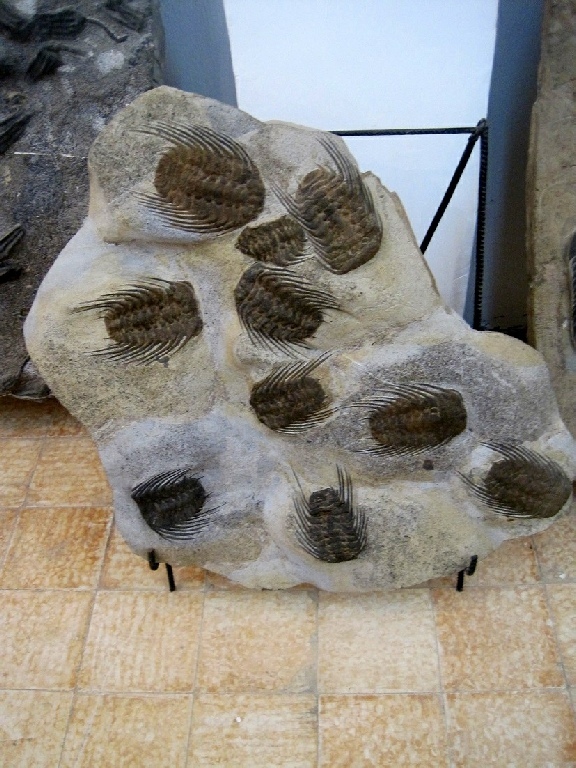 The name, trilobite, comes from the three distinct portions of their segmented body. The hard exoskeleton allowed good preservation as a fossil and served as defensive armor, but had to be shed periodically as the animal grew. These many legged arthropods roamed the sandy bottoms of the seas and coral reefs in search of food. 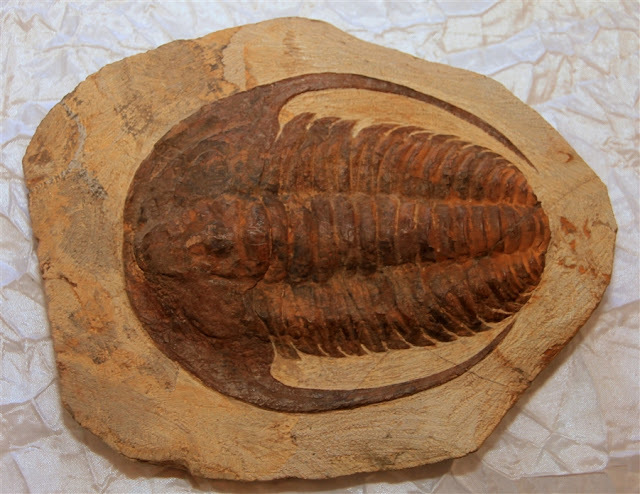 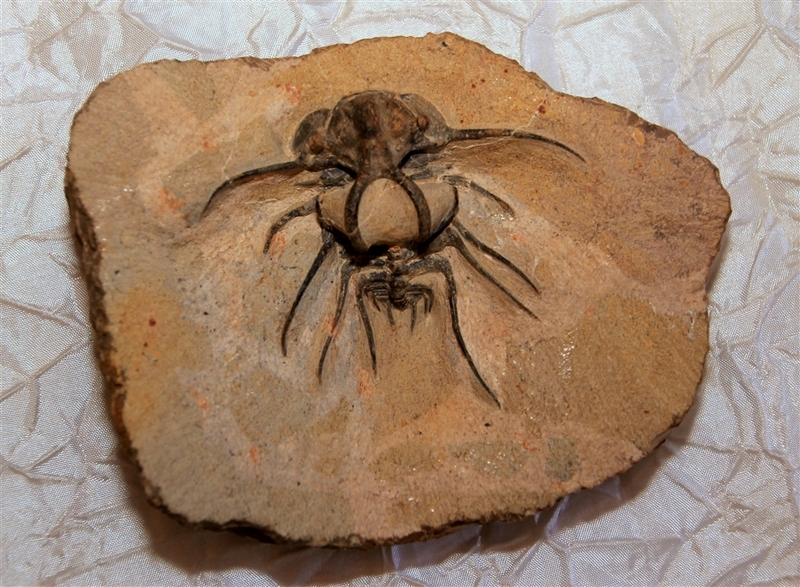 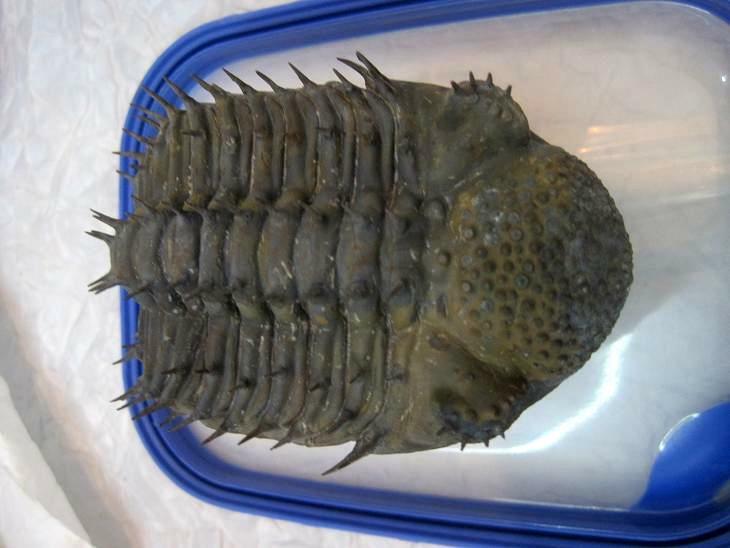 The trilobite is the earliest animal known to possess vision. 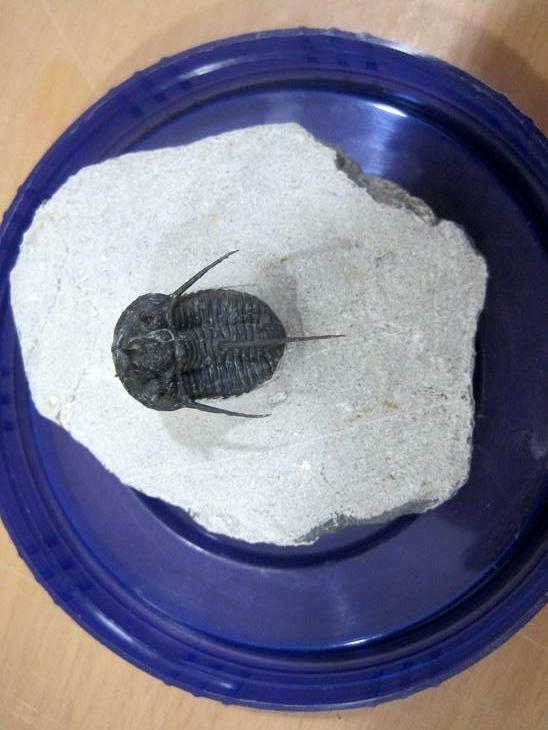 The remarkable construction and preservation of trilobite eyes enable scientists to study the development of a sensory organ which is only rarely preserved in other organisms. 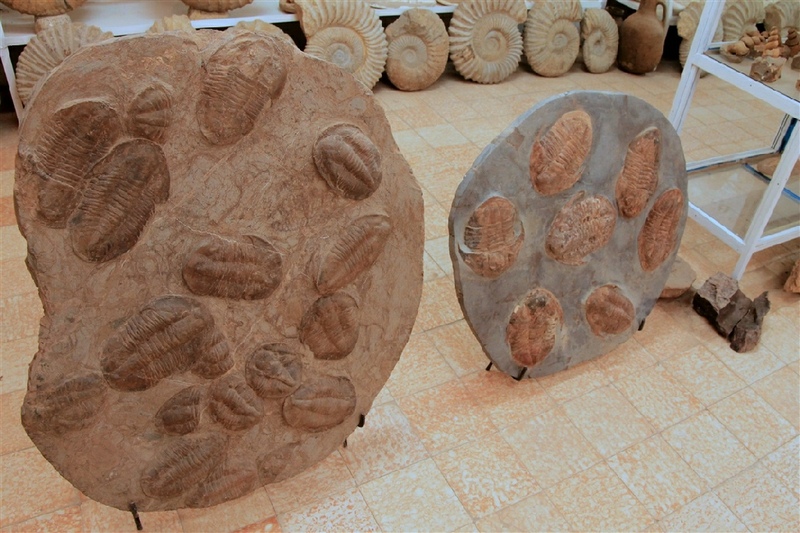 As a group, trilobites survived for more than three hundred million years, from the Cambrian to the Permian period.